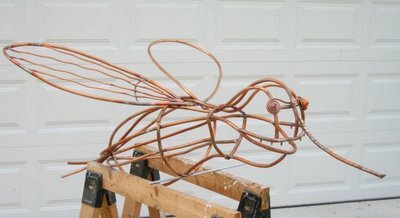 Well, here's my first post on the big mosquito that I've been commissioned to make! 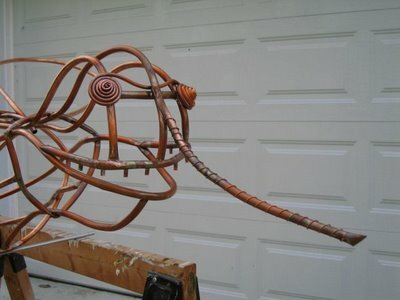 All copper tubing, and I'm about 2 thirds done. Gotta finish the one wing and add some legs, but I'm gettin' there!